Glue and Accessories for perfect binders. Get the correct adhesive for your binder and your job. Add accessories such as fume extractors to enhance your operation. 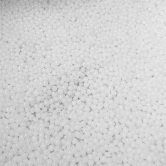 A 30 pound container of thermal glue pellets for use with the PB2000T, BQ-P60, BQ-150, and the DB-280 and DB-290. These pellets melt clear and produce a high-quality bind that is perfect for a variety of padding and thermal perfect binding applications. 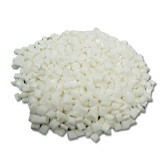 BQ-BWA white hot melt adhesive pellets are designed for use in the Horizon BQ140, BQ150, BQ260, & BQ440 perfect binders. A 11 pound box of thermal glue pellets for use with the BQ-P60 and BQ-P6 Perfect Binders. A 1 kilogram box of thermal glue pellets for use with the BQ-160 PUR Perfect Binder. 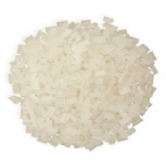 This low-melt adhesive features increased adhesion and low odor.. This specialty perfect binding glue has been manufactured by Duplo specifically for the side glue applicator in the DB-290 perfect binding machine. It is specially formulated to provide the strongest hold available without compromising the integrity of your book pages or book cover, and while retaining proper flexibility.